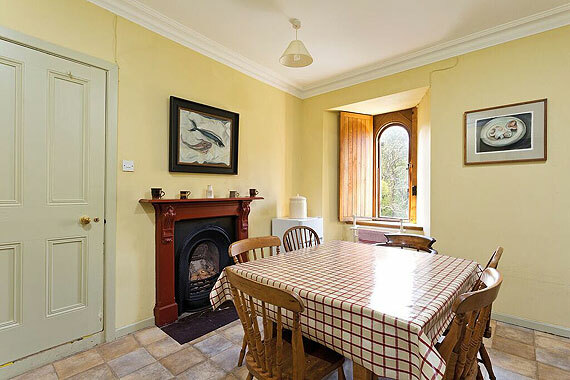 Enchanting one bedroom three storey stone tower nestled deep in the woods of Clandeboye Estate. 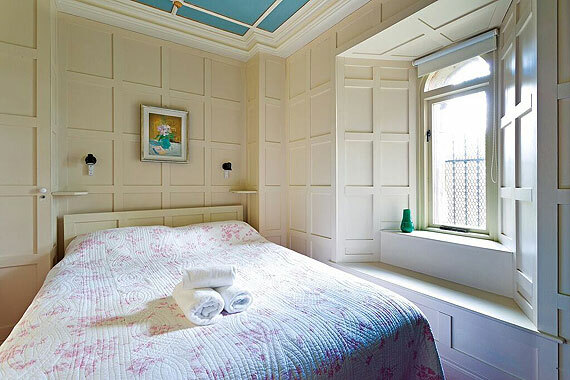 The place is full of character and beautifully maintained. Had a wonderful, restful holiday, we will return. 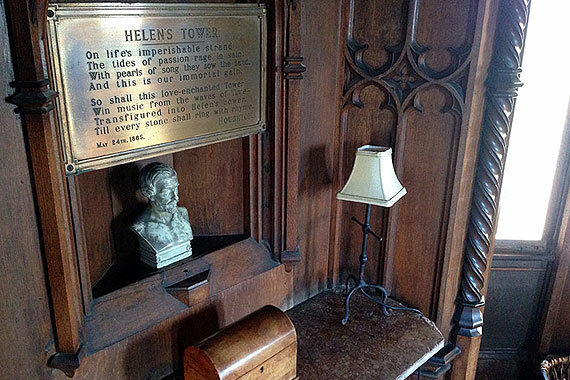 Our visit to Helen’s Tower was truly a fantastic weekend. From the very warm welcome we received from Shirley who showed us around to the wow factor of the place itself. Thanks to all in ILT and the wonderful work you do. This has been the most amazing 3 days – wish I could stay here for at least a week. Really don’t want to go home. 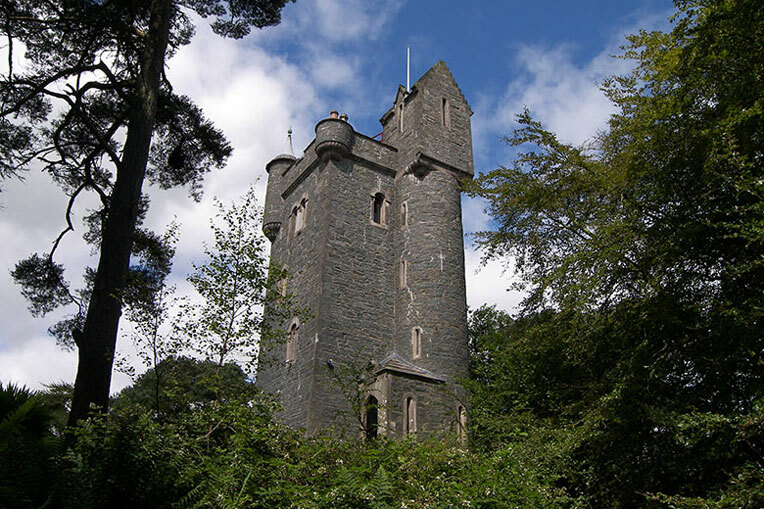 Helen’s Tower perched high above the rolling hills of Co. Down, is an enchanting three storey stone tower nestled deep in the woods of the Clandeboye Estate. 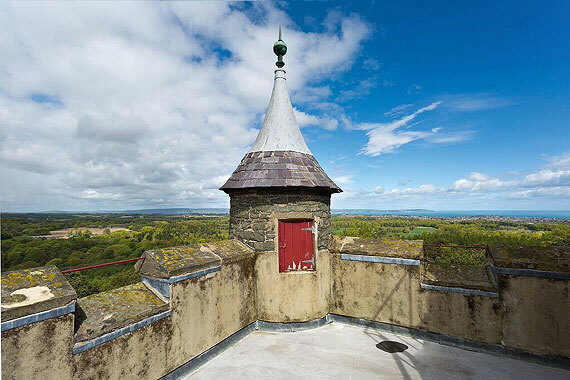 Standing on top of the world with panoramic views of the surrounding landscape, one can see as far as distant Scottish shores from the top. 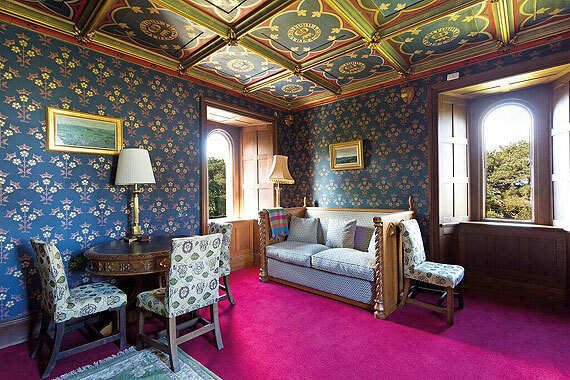 Built in 1848 by Frederick Lord Dufferin, 5th Baron of Dufferin and Ava in honour of his mother Helen Selina Blackwood, Helen’s Tower has since been immortalized by Tennyson in the poem of the same name. A Game Keepers Tower, the interiors and fittings of this building were unique to this period. 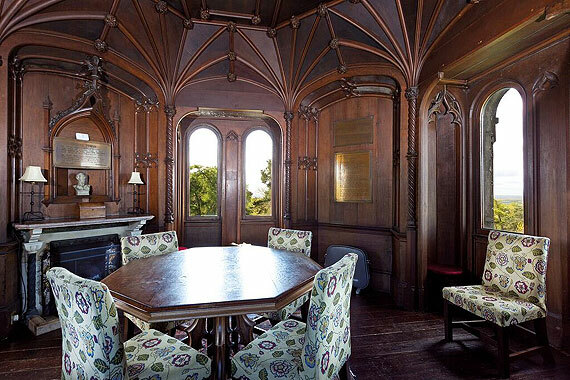 An octagonal room on the third floor with its paneling throughout with poems engraved on metal plates are set into the walls. Visitors to the area can enjoy walking routes, known locally as Cladeboye Way (Helen’s Bay to Whitespots Country Park). Other places of interest include Ava Gallery, Ireland Off Road Experience, Andrew Jackson Cottage and US Rangers and Clandeboye Estate.